Goals… Everyone has goals. I know that I personally always have a running list of things I want to accomplish and new things I want to try. I specifically have a list just for this blog. When I come up with ideas, I immediately jot them down because I know me and realistically, I am definitely going to forget almost as quickly as the idea occurred to me. There are so many things that I’ve never made mostly because I used to think they would be too hard or too time consuming. These days, I embrace the new experiences and it’s been so much fun trying new things. Last month Carrie, author of the fabulous blog Poet in the Pantry was talking about her list of goals from the beginning of the year. At the time she was making good headway however, there were a few things on that list that still needed to be tackled. When I went over and took a look at her list I realized that we had some similar goals. So I suggested that perhaps we could try to tackle them together and Carrie was all in! 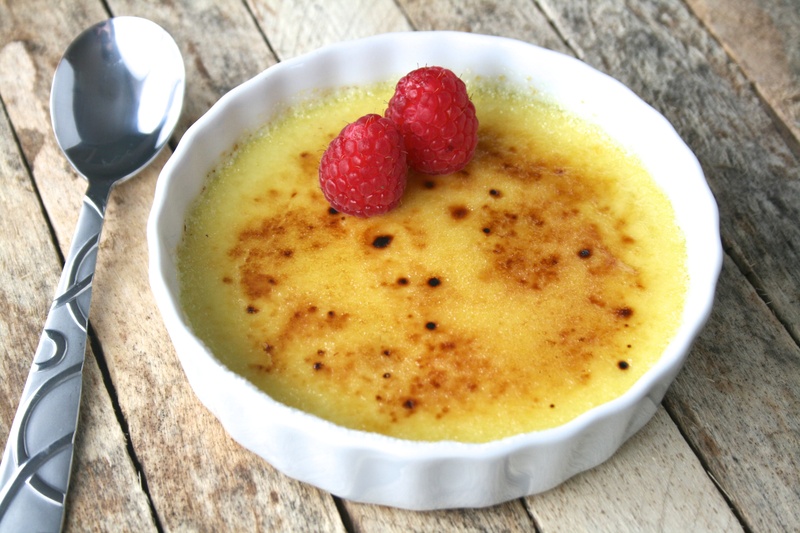 One of the things on our lists was creme brulee. You see, about 3 and a half years ago I found myself the guest of honor at a bridal shower. I received so many wonderful gifts from family and friends. One of those things was a kitchen torch. This was long before my food blogging days but I was so excited to try my hand at making creme brulee for the very first time. I honestly have always wanted to make it however somehow I ended up stowing that kitchen torch away in a cabinet where it then stayed for the last 3 and a half years, forgotten. That is, until this week. Enter Carrie, stage right. She so knowledgably informed me on Wednesday that it was National Creme Brulee Day. Who knew? (I love that there’s a “national holiday” every single day in celebration of some type of food.) 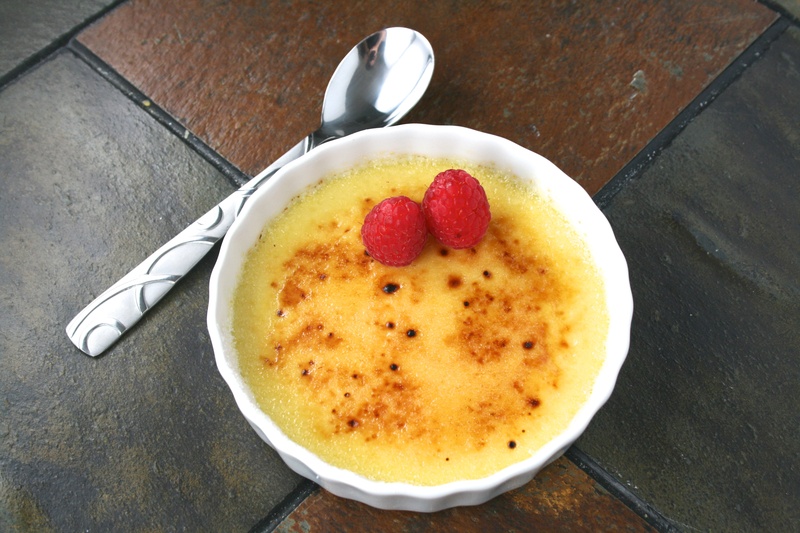 With that realization, Carrie invited me to join her in making creme brulee since it was an item on both of our lists. I immediately accepted that invitation and got to work. When I go out to eat, if there’s creme brulee on the dessert menu you can be sure that I will be sampling it. It is one of my all-time favorite sweets. Something about it has always felt just a little bit fancy. Because of that perception, I thought it would be difficult to make. Guess what?? I was pleasantly surprised to find out that it’s not difficult to make at all! In fact, it’s really easy. The only caveat to that statement would be that caramelizing the sugar on top is a little tricky and clearly takes some practice. That being said, it doesn’t take too much practice at all to get the hang of it. In the name of full disclosure, I only scorched the top of 1 and a half out of the 6 creme brulees that I made. So give it a try! Don’t let this delicious dessert intimidate you with it’s fancy name and caramelized top. Oh, no kitchen torch stowed away in a deep, dark cabinet somewhere? No problem… just throw them under your broiler for about 2 minutes in order to accomplish to same result. – Preheat oven to 300 degrees. – Combine cream and lemon zest in a small saucepan and bring to a simmer. Remove from heat but keep warm. 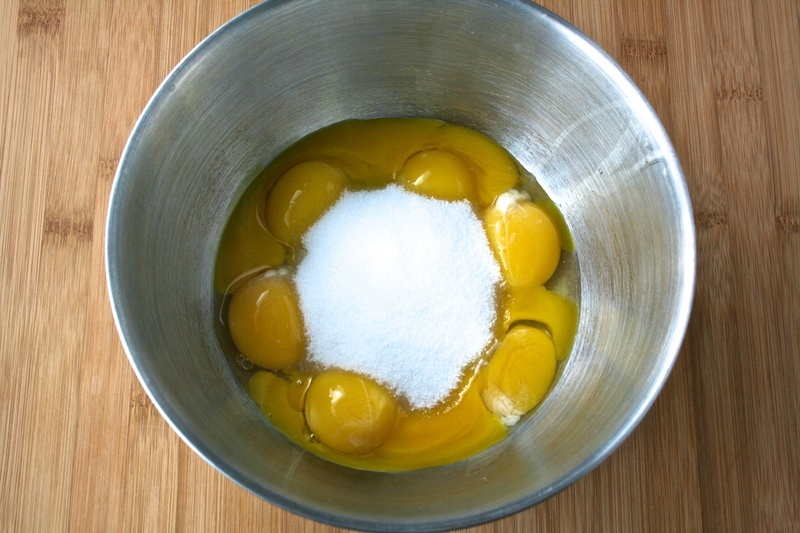 – Whisk together the egg yolks and sugar until thickened and sugar is dissolved. – Very gradually add a small amount of the cream mixture into the egg mixture, whisking constantly until 1/2 cup of the cream has been incorporated. 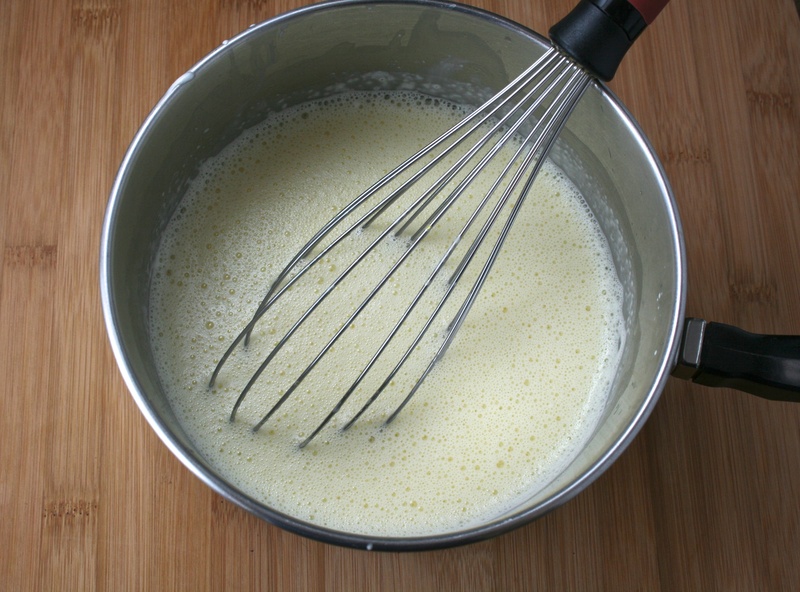 Now, slowly add the egg mixture back into the saucepan with the cream whisking constantly until full incorporated. Add in the vanilla extract. Whisk again. Allow the mixture to stand for 10 minutes. 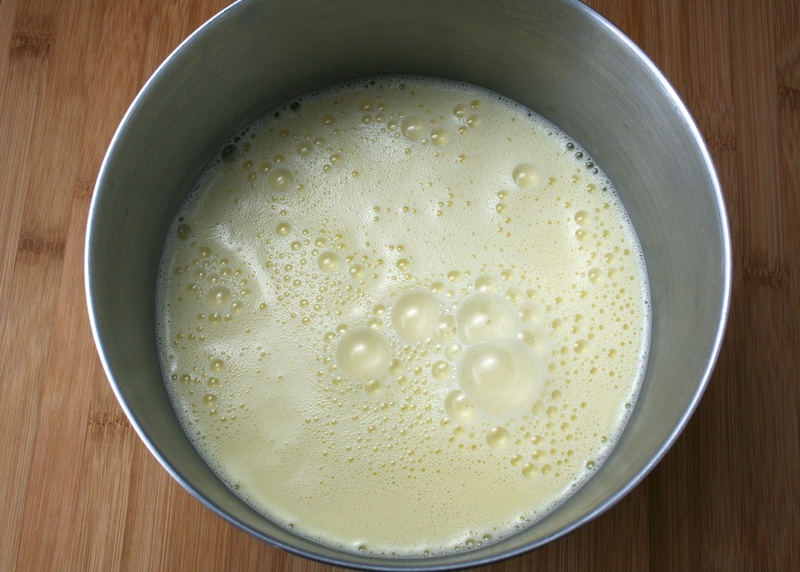 – Strain the custard into a large bowl. – Place 6 ramekins into a deep baking pan. 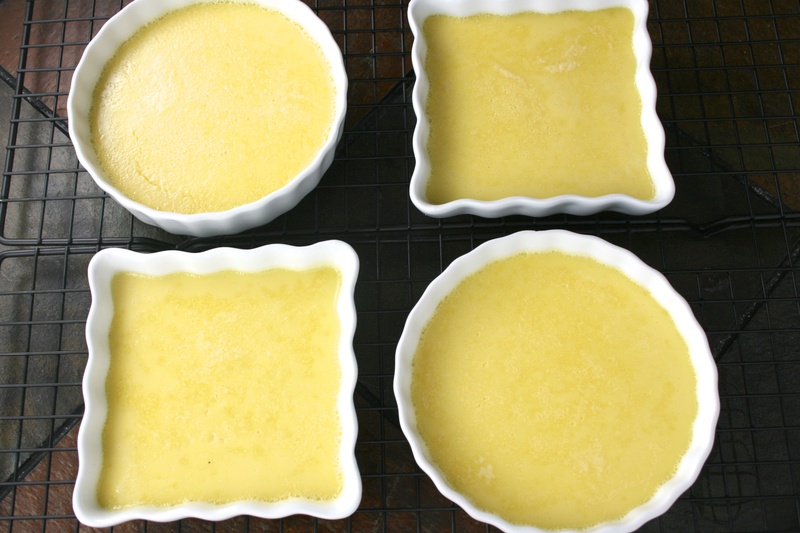 Divide the strained custard evenly among the ramekins. – Fill the baking pan with boiling water so that it comes halfway up the sides of the ramekins. Bake the custard for 50-60 minutes until the centers are just set. Center should still “jiggle” a bit. – Remove the ramekins for the water bath and chill uncovered for at least 3 hours. – Next, sprinkle 2 teaspoons of sugar evenly over the tops. Using a kitchen torch, melt and caramelize the sugar evenly until they are a light amber color. 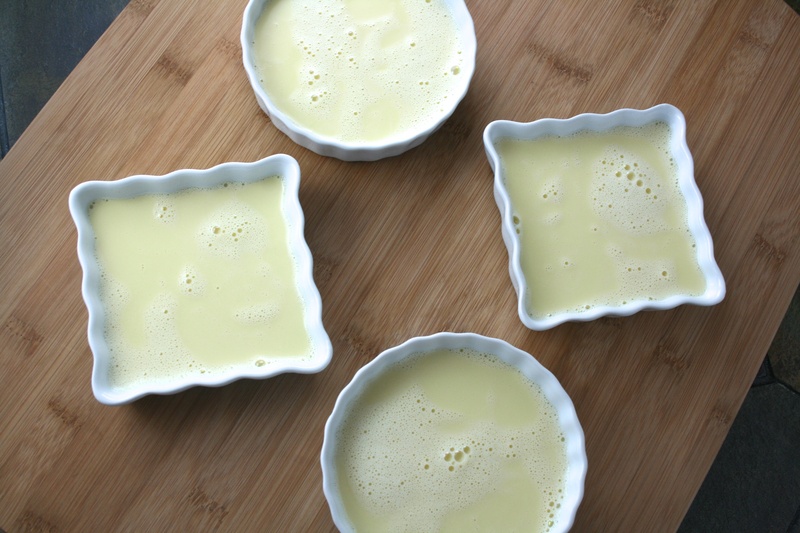 – Allow the custards to chill again for 30 minutes before serving. Do not let them chill longer than 2 hours otherwise the sugar topping will no longer be crisp. Garnish with fresh raspberries. Yay! Congrats on your first creme brulee! I love the lemon flavor in this recipe. Perfection! I can’t wait to see what you ladies tackle next! I love that even though we both decided to make creme brulee, we ended up with quite different recipes. 🙂 Thanks for baking with me! It was a great idea! Thanks for inviting me 🙂 Looking forward to the next one!